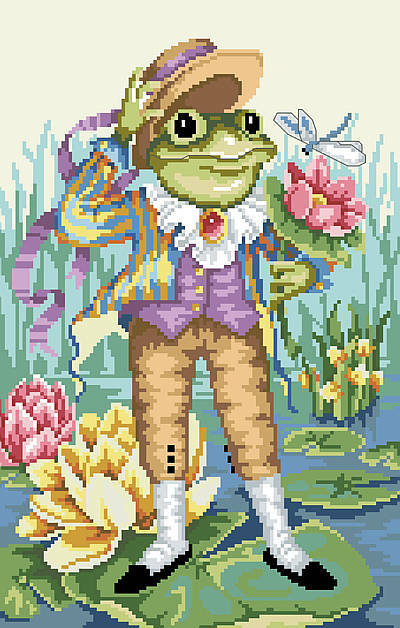 This playful Counted Cross Stitch design features the story of Mr. Frog Goes A-Courting. This beautiful intricate artwork would make a great addition to any nursery or children’s playroom. Contents: Stitch Count 114w X 167h on 14 ct, Finished size 8-1/8" X 11-7/8"